Known UFO hunter Scott C. Waring has reached out several times to Elon Musk, asking the latter to investigate his alien findings, which he claims are hidden in NASA’s videos or photos. Waring’s latest tweet to the Tesla founder was about a 10-mile long alien ship spotted in the Waterman crater on Earth’s natural satellite. Waring reached out to Musk several times, asking the SpaceX CEO and Founder to look at the “discoveries” he made as he searched for truth about aliens his entire life. In his alien ship tweet to Musk, he also asked the executive to imagine all the advanced technologies that could be onboard the alien ship. He even compared the appearance of the “ship” to the Voyager. “Get this ship and it will take humans across the universe. Oh…and I found others,” he claimed in the last part of his tweet. His website UFO Sightings Daily also features images which Waring said shows “space crabs” on Mars. He added that “tiny midget mini-Martians” ruled it. Throughout the years, Waring has been inviting the billionaire for a meeting about a potential business idea and also to have a look at the super-sized “alien spaceships” that he spotted in NASA images. According to Metro, Waring seems to have a soft spot for Musk although he has not received a reply yet from the Tesla founder. Previously, Waring expressed support for Musk when he volunteered to develop a submarine to help rescue the group of Thai kids stuck inside the cave. Musk’s work on spaceflight has made him a popular figure in discussions about space. With his SpaceX team, Musk launched the Crew Dragon space capsule successfully which many view as the “ship of the future” and a mark that will start the new era of spaceflight. Musk recently revealed more details on how he plans to launch flights to Mars. The visionary claimed that he wants something that travels beyond Earth that works as efficiently as catching a flight at the airport. In other words, the business magnate wants a rocket that can land on the Moon, Mars, the Earth and anywhere else and also take off just as fast as planes at the airport on our planet. “Transpiration cooling will be added wherever we see erosion of the shield. Starship needs to be ready to fly again immediately after landing. Zero refurbishment,” Musk said in a tweet. Have Aliens Already Made Contact with Humans? The prospect of being alone in the universe is, at least in my opinion, an extremely underwhelming answer to the question of “what else is out there”. Which is why I and so many others may cling to the smallest sign of proof that aliens do in fact exist. And to go even further, that they are already in contact with us on Earth. After all, it would be one of the most incredible truths that could ever come out of human history. So is it possible? 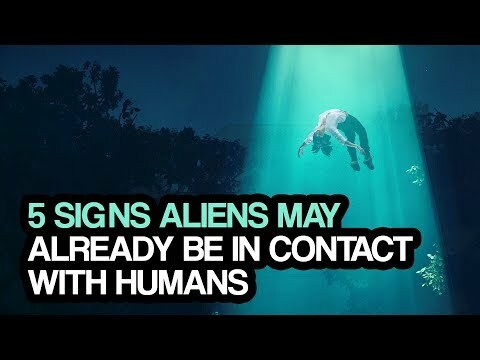 Well, no one can say for sure, but to give you some more signs of proof to cling to, on this Sci-5, I present you with 5 Signs aliens may already be in contact with humans. 5. Technology jump after Roswell Reverse engineering is a very real thing that happens in the science field. There is no argument that scientists and engineers take foreign or ancient technology apart to determine how it works, and use that information to apply to new technologies. This is supposedly what happened to the alien technology that allegedly landed in New Mexico in 1947. Jack Shulman was the head of the American Computer Company. He also worked at many major technology companies such as Bell Labs, and IBM. During his time at ACC, he says he was approached by someone whom he refers to as “the consultant”. The consultant gave him some documents, which included a laboratory notebook from the late 40s, placing them after Roswell. They were from a special projects group called the “Z Division”, which worked with the US government to complete technical assessments of foreign nuclear programs and weapons capabilities. The “Z Division” coincidently, originated in Roswell. Between 1947 and 1948, Harry Truman contracted AT&T with the overseeing and management of US nuclear arsenal and the commercialization of derived product technologies from the nuclear bomb. In 1949 the contract became official, and AT&T became increasingly important in the project, eventually taking near control of the Z-Division. Also at this time in 1947, the transistor was miraculously invented by three AT&T researchers. One of which went on to win a Nobel Prize for the invention. What puzzles so many, is that in 1946 AT&T did not possess the technology needed to create the transistor, but somehow one year later they solidified ties with top-secret government projects and invented the incredibly important piece of technology. Shulman, who claims he was skeptical of the information that came his way at first, says he was always somewhat mystified as to where the technology was actually created, but eventually, when the information came his way, it all seemed to make sense. In the late 90s, he published the documents to the American Computer Company website, which generated loads of feedback from people all over the world. He was invited to join many news outlets, including ABC, and not surprisingly, Coast to Coast with Art Bell. Jack’s claims were taken very seriously by many due to his closeness with people who worked on the project. When he was attending school, he lived with Jack Morton and was good friends with his son. Morton was the administrative head of the transistor project. Shulman believes he is the one who originally leaked the documents. Morton had not been given any of the credit for the project and was quite angry about that. Especially when the Nobel Prize became involved. As the years went on, his relationship with AT&T became worse and worse. The fraying relationship came to an end in 1972 when Dr. Morton was found knocked unconscious and set on fire in his car. Jack believes this is because the company was afraid of him releasing information, information that years later ended up on his desk. There is a lot more to this story, and I encourage you all to read the Jack Shulman lecture linked below if you are interested in finding out more. 4. Reputable people’s testimonies If Jack Shulman’s account of Roswell doesn’t convince you, then perhaps even more reputable figures may. Many political figures, celebrities, and people of power have openly discussed their experiences and belief in aliens and alien contact. Some of the more famous claims can be attributed to former US presidents Ronald Reagan, and Jimmy Carter. Both, who on separate occasions say they have witnessed UFOs. There are countless more notable people who have reported witnessing UFOs, but these claims start to get really interesting once we move past simple sightings. There are an incredible number of former and current government workers who have come forward to say their government is hiding information about extraterrestrial initiatives, but in this video, we are going to focus on two that caught my eye due to their positions, and rational approach to the topic. The first will come from the United States. Most of you may be aware of the stories that broke in many major news outlets in late 2017 about a former Pentagon UFO Investigator who came forward with claims that UFOs were in fact real. After years of working for the Pentagon, Luis Elizondo decided to come forward about his experience in the search for aliens. In October of 2017, he resigned from the Department of Defense in protest of what he claimed was excessive secrecy surrounding the program, also citing he was frustrated with internal opposition to it following funding cuts in 2012. Not long after this, in an interview to CNN, he stated, “”my personal belief is that there is very compelling evidence that we may not be alone.” While he danced around the words a little bit, he did also strongly hint that there was evidence that caused him to believe UFOs not only existed but have already visited Earth. Despite no longer working with the government, Luis has continued his work searching for extraterrestrials, and bringing the information to the public by joining former Blink 182 frontman and notable alien enthusiast and researcher Tom DeLonge in the To The Stars Academy. He now holds the role as Director of Global Security & Special Programs. Moving a bit north, Paul Hellyer was the Minister of Defence for Canada from 1963, to 1967. Paul has also served various terms in other political positions for the Canadian government, and is the longest serving member of the Queen’s Privy Council for Canada, just above Prince Philip. Hellyer has been very outspoken of his belief in extraterrestrials and says they have been in contact with humans for many years. He is known as the highest-ranked alien believer on earth, and his claims are taken seriously enough to make national headlines in major news sources in Canada, including the National Post, and The Toronto Star. It wasn’t until 2005, at 81 years old that Paul decided to go public with his information. He says that at least four different types of aliens have visited our planet, and many more exist. He also states that there is a “federation” of sorts that has a rule not to interfere with human affairs. Therefore, they simply observe us. He states that at least two of the types of aliens that have visited us are completely benign. He also says that they are not very impressed with our actions on Earth, citing clear-cutting, dumping sewage, and other rather distasteful habits we have. He makes many more claims about extraterrestrials and on an immense amount of other topics. If this interest you, I highly recommend checking out more of his claims. 3. There are some physical pieces of evidence that have the opportunity to be interpreted as possible documented proof of alien encounters dating back even as far as ancient times. To begin, there are many religions that have stories of flying machines descending from the sky. In religious texts, these are most often referred to as deities coming from heaven, but when looking at the stories with a modern eye, some details may point toward the possibility of alien encounters. There are many examples to choose from, but to focus on a few, in the bible Elijah is taken into the sky by what is described as a chariot of fire. At the time, a chariot was really the only type of vehicle, which makes it somewhat safe to assume that even if it was a flying vehicle, like a spaceship, it may still have been described as a chariot. Also in biblical times, electricity had yet to be discovered so lights would simply be described as fire. So could this chariot of fire actually had been a bright ufo? In Indian Sanskrit writings, there are many other references to Vimanas, or flying machines. The Bhagavata Purana describes a metal aircraft that appeared to be in two places at once. The king Ravana was said to have his own called the Pushpaka Vimana. This account was actually made into a 1987 movie, and was then rebooted in 2016. It’s possible these stories could be metaphors, or even just stories, but is it also possible they could be describing UFO encounters or in the case of Elijah, alien abductions? Aside from religious stories, it is also possible to reason that the Ancient Egyptians may have had encounters with extraterrestrials. Scribes of the pharaoh Thutmose III from 1440 BC describe fiery disks passing over the sky. Also, as many of you may be familiar with, there is the case of the mysterious hieroglyphics from the Temple of Seti that appear to depict futuristic vehicles including a helicopter, tank, and even what looks like a spaceship. While no rational explanation can be proved, it is heavily believed these have been altered over the years, or are even just pure coincidence. But is it possible our minds jump to these conclusions simply because we cannot believe what we don’t know? This specific idea can be quite the rabbit hole to fall down, but if you’re up to challenge your thoughts, and the status quo, I suggest you take a dive. 2. Although some may seem, and probably are incredibly ridiculous and unlikely, the abundance of UFO sightings from around the world are impossible to ignore. For every few reports with clear rational explanations, comes a real stumper that is hard to brush off, especially those with multiple witnesses. For example, the 1965 Kecksburg UFO incident where thousands of people across six different American states and one Canadian province saw a metal object catch on fire and fall into a small village just outside of Pittsburg. Many witnesses reported that they saw what they assumed to be a meteor falling to the ground, however as it came closer to the Earth people started to notice the object appeared to be of a metallic formation. The object also supposedly dropped hot metal debris of Michigan and northern Ohio. The authorities had many explanations including space debris falling from orbit, a missile test gone wrong, and even a plane crash. In the town of Kecksburg where the object supposedly landed, a young boy and his mother claimed to have seen blue smoke coming from the landing spot, and called the local authorities. Many responded including local police and volunteer firefighters. The object was described as and acorn shape roughly the size of a Volkswagen Beetle, featuring images that looked like ancient Egyptian hieroglyphics on the sides. Soon after initial response, the military arrived, secured the area, and ordered civilians to leave. After their investigation they reported that they found “absolutely nothing”. Thousands of reports about UFOs are made every year around the world. There’s a good chance even you may have witnessed something you really aren’t able to explain. So is it safe to say this is enough proof that we are in fact being visited by aliens? What do you think? 1. 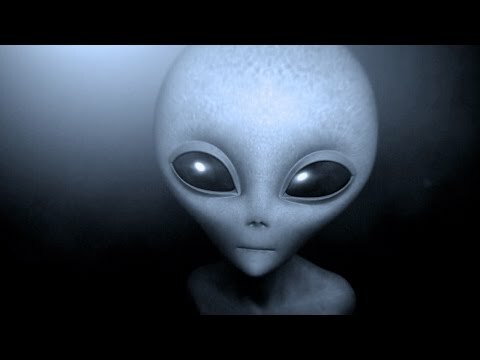 There is also the possibility that aliens really are in contact with humans, and not only are they observing us, but they may also be studying us, and its possible we don’t know, because we never remember. Abductions are much less reported than UFO sightings, but there are still an abundance of claims that have eerily similar details. One of the most common occurrences in the case of an abduction is lost time, and many people do not remember anything that happened until much later, if at all. So in theory, it could be possible that you or someone you know has been abducted in the past, but has no memory of it. Fortunately, some people are able to recall bits and pieces of their experience. Perhaps one of the most interesting things about abduction reports is how similar most of them are. Researchers have even created a rough timeline of events that coincide with most cases. The timeline is as follows, capture, examination and procedures, conference, where the aliens communicate, usually telepathically with the abductee, then the tour of the vessel, the return, which is followed by a euphoric sense of love and metaphysical change, and then the aftermath. A prime example of this is the famous Betty and Barney Hill case. The couple was driving home late at night in September of 1961 when they stopped their car to observe strange lights overhead. The next thing they knew hours had passed and they were 35 miles closer to home than they had been, and they had no idea what had happened. Betty called a close friend who worked at an air base to report a UFO sighting. She was told that two other reports were made in that area based on radar data. Weeks later Betty began having nightmares about being aboard a spacecraft and having medical procedures done on her. Eventually the two of them decided to undergo hypnosis where they both told a story about being abducted, experimented on, and were told by aliens that the beings were from a planet Zeta Reticuli. Many other cases following this chain of events have been reported.There have even been UFO sightings where the witness reports lost time, but not an abduction. So is it possible aliens are researching us right now, and we simply just can’t remember? Is it possible that you or I have already been abducted? It’s hard to say, but it sure doesn’t seem as impossible as some may believe. Thanks for checking out this Sci-5. If you liked this video, don’t forget to like and subscribe. Also check out my last video, 5 Weird And Unusual Locations From Around The World, and be sure to stay tuned for future Sci-5s on all things science, and science fiction.